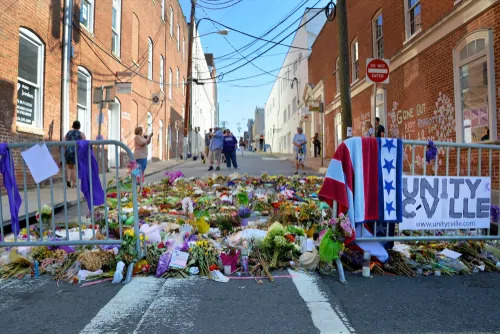 Exactly one year after the rally in Charlottesville, Virginia, Americans are still seeing a major rise of racial tensions. Over the past year, these tensions have grown rapidly, and people are sharply divided in their views on how President Trump is handling the issue of racism throughout our country. According to a CBS News poll, YouGov finds that 61 percent of Americans claim that racial tensions have definitely increased. Alongside that percentile, 58 percent of Americans disapprove of the president’s handling of racial issues. Americans are feeling divided on how they read President Trump’s intentions on race matters. Forty-five percent of Americans feel that the president treats all races the same, but 51 percent say that he puts the interests of whites over other races.